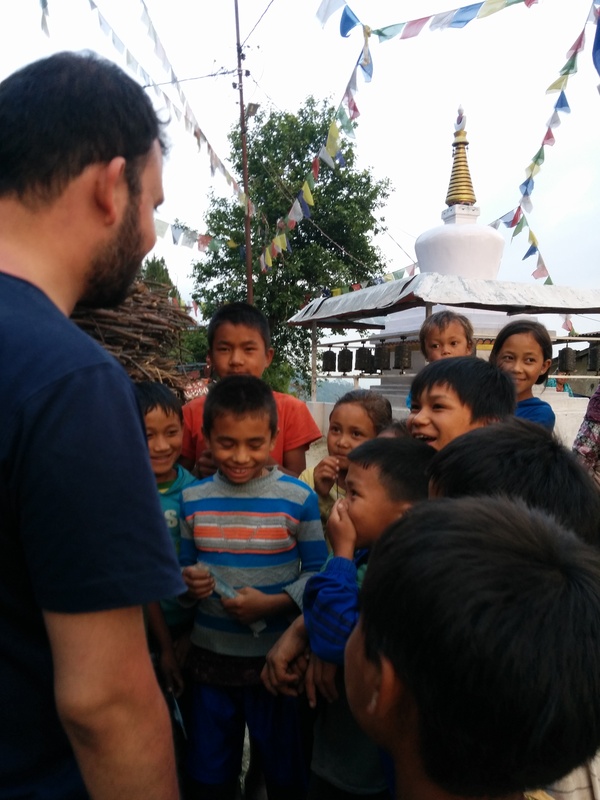 Life changing moment in Nepal – Woof Woof !! My regular life held me back from writing this. Last 2 weeks had me all over the place. I was a slave to my work and I think the clients. Finally got the moment to write when I am back in Kathmandu to do my further bit. Giving you a brief account of what was an experience unlike any. 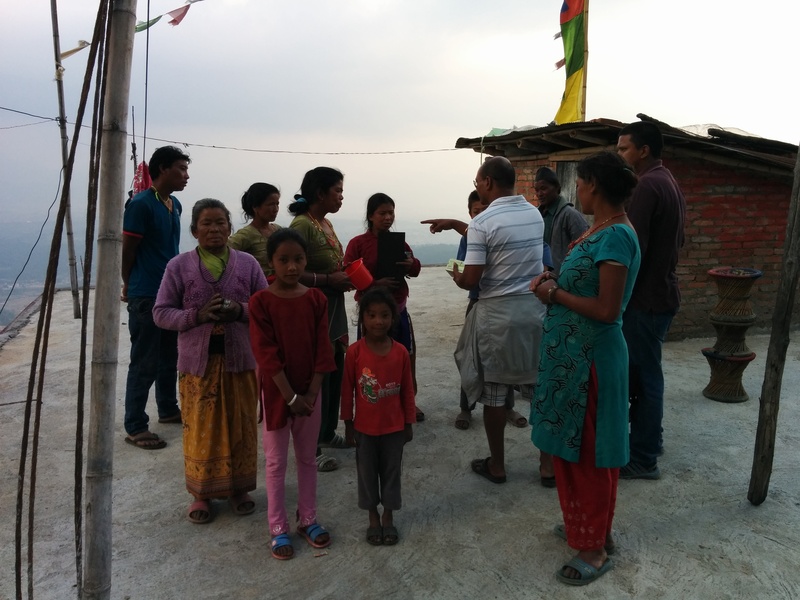 You read about the relief camp at Bhaktapur. It gave an account of the urban relief camp. It was now time to go to the remote. Places where access was relatively difficult. We met Naveen, a friend of Pujan, engineer by profession and humanitarian in life. 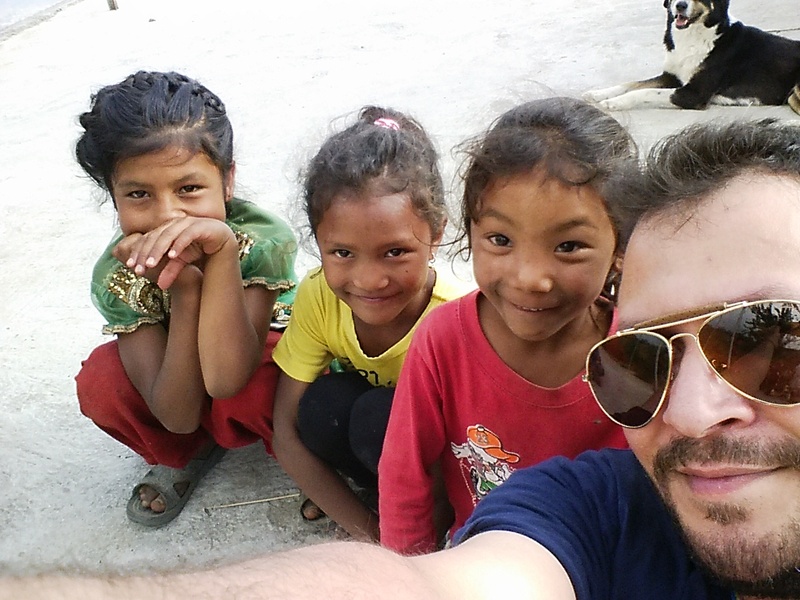 He was associated with an organization called “Work for Nepal”. Run by a bunch of young guys, working in varied fields, who had it in them to take off from work for their country. They had been working in the Kathmandu valley and the villages around. Naveen had visited a village called Tare Bhir and assessing the damage there and the need of the villagers, he thought it was best for us to help them. 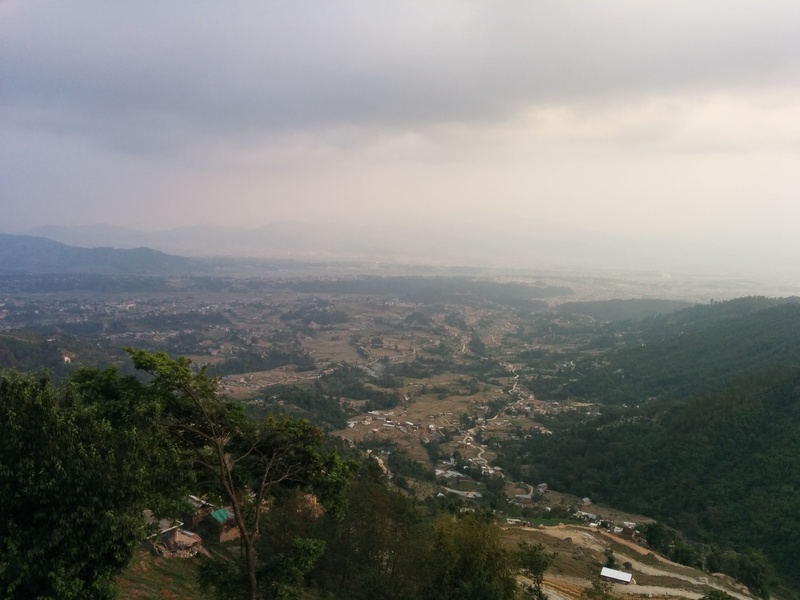 Tare Bhir, is a village located about 2 hours from Kathmandu. The route is particularly treacherous as there is practically no route. 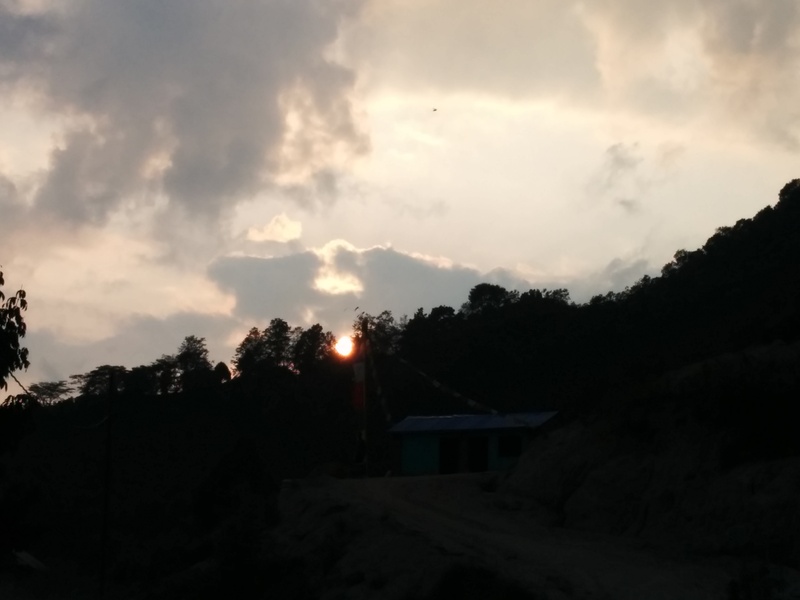 The village is divided in various blocks, apparently that’s how it is in Nepal. Naveen had been to two blocks inhabited by about 27 families. There were half a dozen house completely damaged and the supply of essentials were almost disconnected. Lorene had been able to raise some funds through her endeavor on Facebook. She had received donations from all over the world. The idea was to put the money in the right use. Lorene decided to donate 50000 Nepali Rupees (500 USD) to Work for Nepal. The money was to buy basic essentials to the 27 families in Tare Bhir. We met Naveen at 10 and drove down to the work site of Work for Nepal. Jamal (an artist, interesting soul and a world citizen) had also joined us. Stories of his life will amaze anyone. 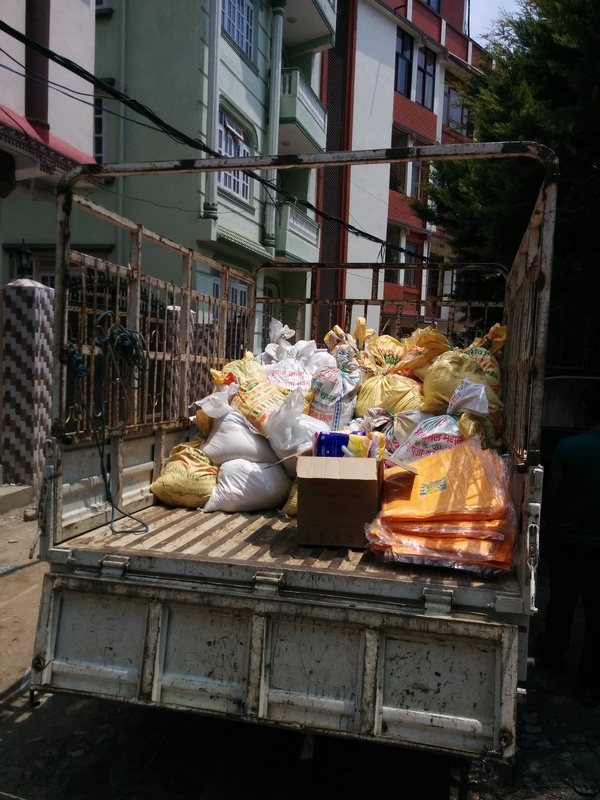 The guys at Work for Nepal were busy packing relief materials they were sending off to another village. Other than this we had taken toys and candies for the kids and some basic medicines. 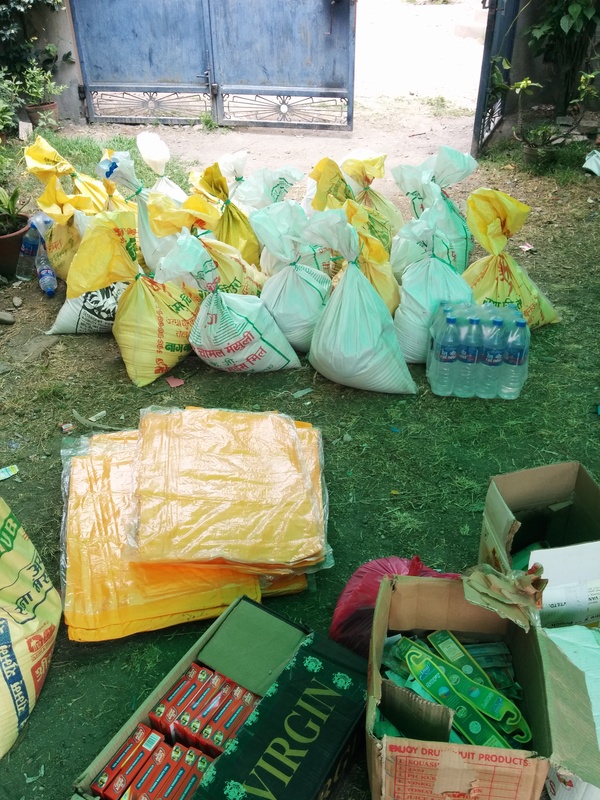 Cost of each bag was over 2000 Nepali Rupees (1200 Indian or 20 USD). The amount donated was actually less than the cost of materials. (Standing 2nd onwards, Left to right) Naveen, Jamal, Lorene and me. After packing we loaded the bags in a pickup car and was ready for the journey which was going to be a life changing experience. We were in 3 bikes and Jamal was in the pickup. On crossing Kathmandu we had to ascend a mountain as Tare Bhir was on it. I am told normally people would trek but as we were on bikes we were taking the road which didn’t really exist. The pickup van stopped at the beginning of the trail and refused to go further as he didn’t want to take the risk of driving in the rough terrain. Lorene and I had moved further, driving a city bike on a non-existent mountain road. It was dusty and rocky. We slipped once and were flat down. Naveen had managed to arrange a jeep who knew a different way and was willing to drive to Tare Bhir. It took us almost 3 hours to reach Ward 1 of Tare Bhir. We met an old lady and she took us into the village. There was a beautiful wooden canopy overlooking the valley. Naveen and Jamal had reached with the van and the villagers were plying the bags from the van to the village. We sat down and took some breath. The view was gorgeous and the people at their beautiful best. 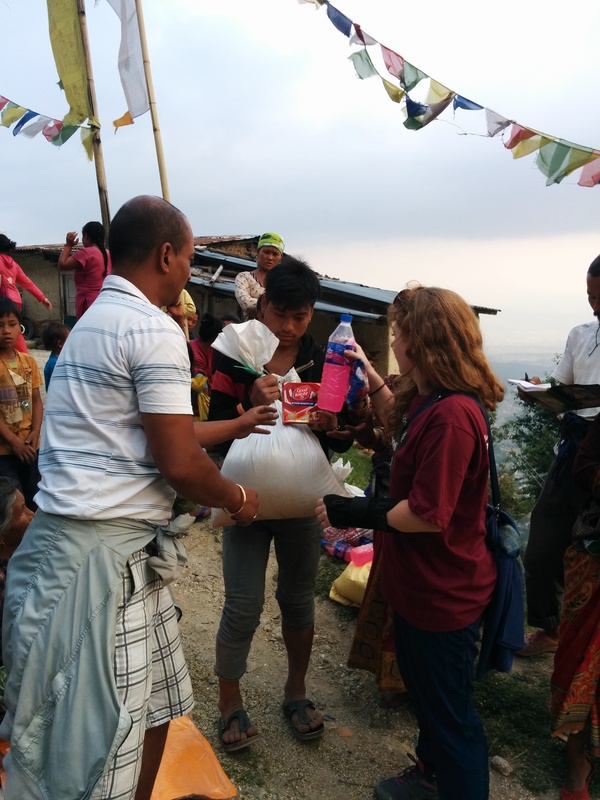 Before we could start any discussion we were offered some freshly brewed Raksi (A Nepali homemade wine that taste stronger than the strongest alcohol). We had some Raksi and asked all the villagers to join us near the canopy. We discovered there were no men in the village. Found out they had all gone out for work or to get building materials from the city. They had a strange excitement on their face. Some thought we were from the government, well that’s what they as any other citizen expect. But we weren’t and for a moment we were the messiah. A member from each family was called and the bags were distributed. Lorene did the distribution. She distributed the bags to about 12 families. She had to explain the women about the sanitary napkins as they didn’t know about it. We had to caution them from not drinking the pink liquid in the bottle as it was liquid soap. I had called all the kids to a corner and gave them candies and distributed the toys with them. They were in the age of 6 to 14. The children had a strange gloom on their faces. 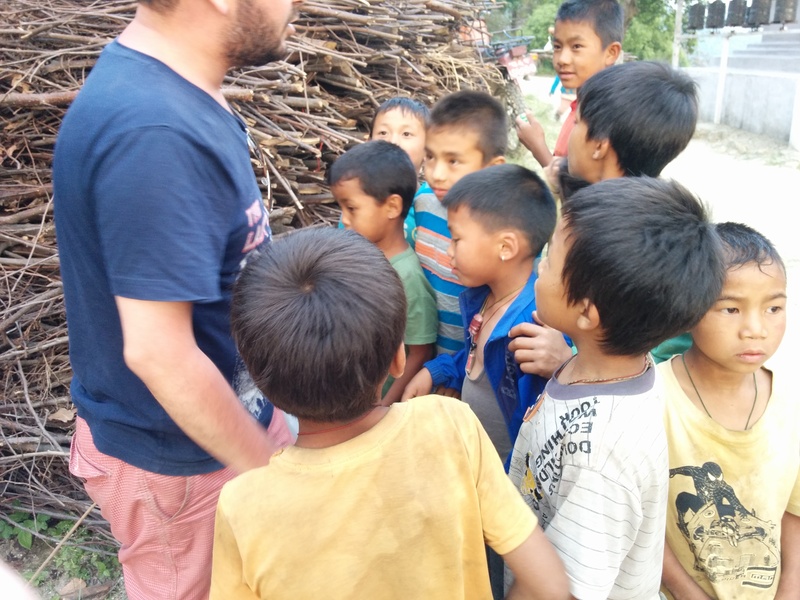 I tried talking to them and they were all shy, a striking contrast to those at Bhaktapur. After a little talking and playing they opened up and started talking. They all went to schools which they showed me was in a mountain I could see in the valley. They would trek miles every day, something I could not have imagined to do as a kid to study. They were way ahead of us. They wanted to study but the school was closed due to the quake. We decided to help building schools as the next project as these kids deserved it. The people were unexpectedly hospitable. We were given a tour of the Raksi brewery. Well a little hut with a pot in which they brewed. We talked about the earthquake and the people were still living in the horror, but they said they had to still live and move on accepting it happened. This was something missing in Kathmandu. The men were back to work. The women were doing the work at homes and in the fields. 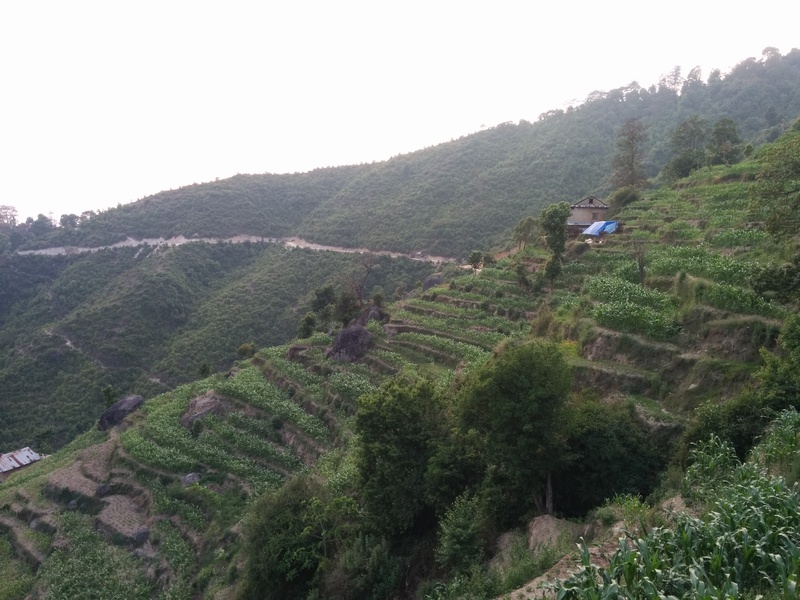 A thing I liked about Tare Bhir and it’s the same for most villages in Nepal is that the villages are mostly self-dependent. They grow mostly vegetable which they consume. Most of them have solar electricity, water was from the stream nearby. The other essentials was what we were giving. 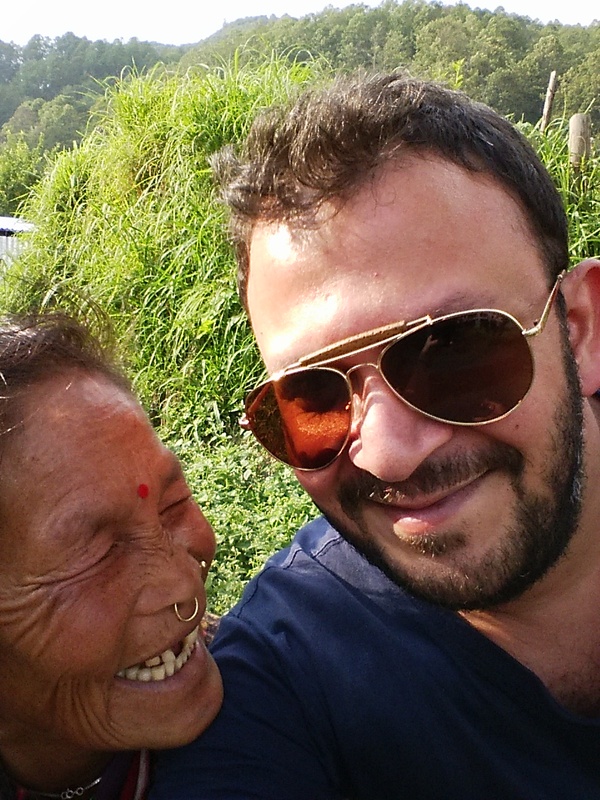 With an old lady from Tare Bhir. She was laughing on seeing herself on the phone screen. After distribution we packed up to go to the next Ward of Tare Bhir, our last destination of an already long day. The next Ward was about 20 mins drive downwards the mountain. We reached there to find that the village was still a little walk down. 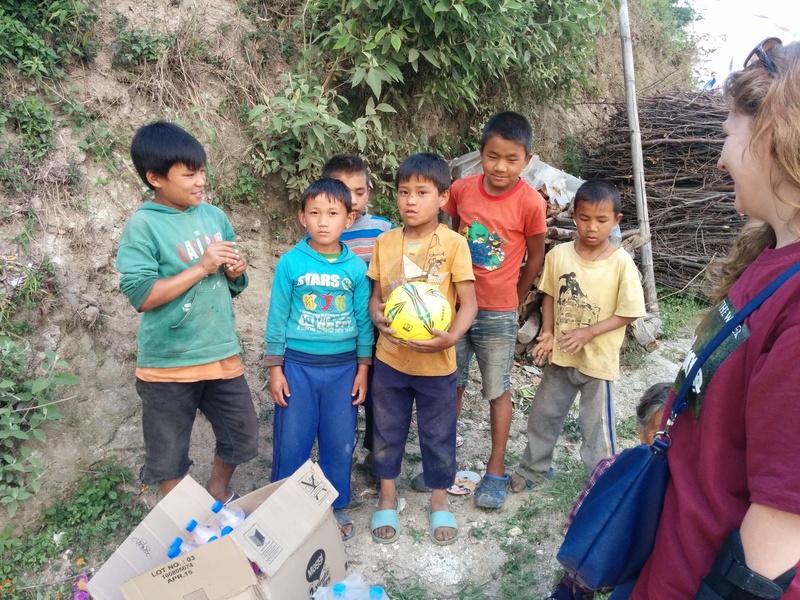 We met Shyam Lama, a resident of the village who was helping us to connect with them. Carrying the bags down would had been a difficult task so we called the villages to where the van was. The distribution was done in the same manner as the earlier ward. After the distribution of the bags we met the kids and distributed them the candies and toys. Spent some time with them. Family of Shyam Lama invited us for lunch to his uncle’s home. We accepted the invitation and walked down for about 15 mins to reach his house. We crossed fields of marijuana on our way. 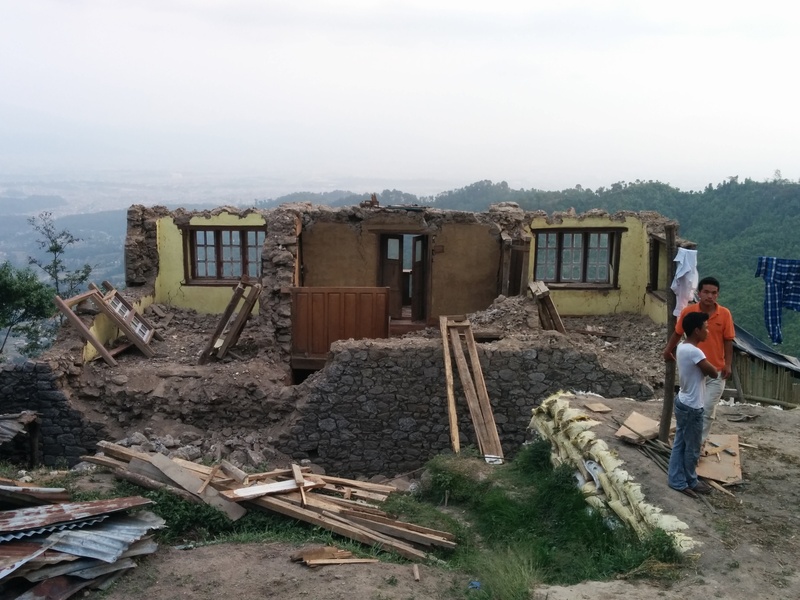 Opposite his house was Shyam’s house which was down to rubble by the quake. Nothing was left. Same was with 2 more houses in the village. Yet they were unfazed and their hospitable best. The women cooked us some fresh meal. Potatoes, chicken and beaten rice (Churra). We had some Raksi. 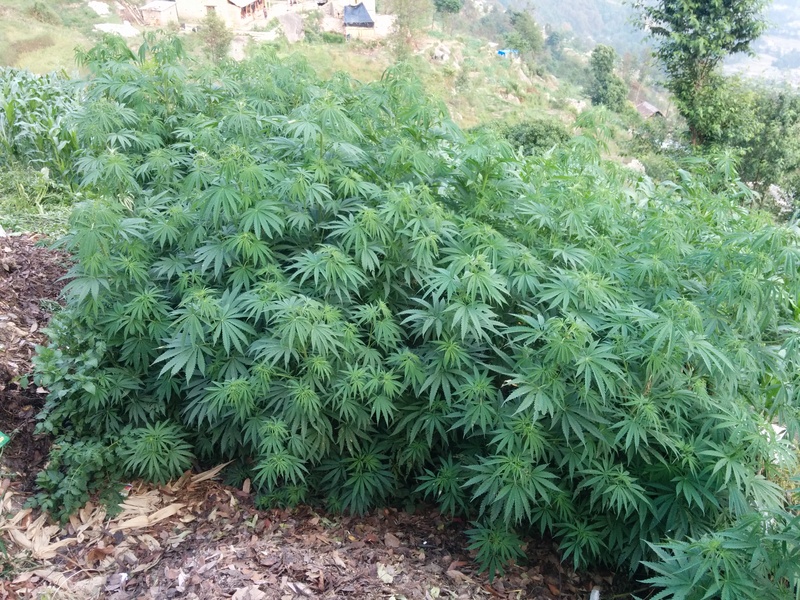 We asked them out of curiosity about the marijuana, and was informed they fed it to the goats and cows as it increased the milk production. Shyam Lama’s house completely destroyed by the quake. After a good meal it was time to leave. We started trekking up to our bikes. The eldest lady in the village came to calling us to thank us for coming to her village. It was a beautiful gesture. We left the village around 6, it had got darker and driving back was going to be a task. Took us more than two hours to get back to Courtyard. Introspecting the whole experience I got more from the village than we gave them. It felt strange that being in such a comfortable I had more complains from life. The desire and lust was stronger than life itself. These people had nothing. Living in a little village with limited means and having lost so much in the disaster they did not complain. They were happy with the little they had and didn’t lust for a glossy life. I felt so small in front of them. Realized again that money was not life but life was money. I had a different perception of life and living. Thanks to the beautiful people in Tare Bhir my life was changed for the better and the journey of giving unconditionally was ignited. As said we wanted to rebuild schools for the little ones who wanted to study not just for studying but also to escape from the fear of quake. We have started work on it with a lovely group of young people based in Nepal and all over the world. Details will be in my next post. If you read this post and you feel for these beautiful people then please do anything you can to support them. They need your support in this moment of standing back in their lives. You may contribute through your own organizations or to the links below. 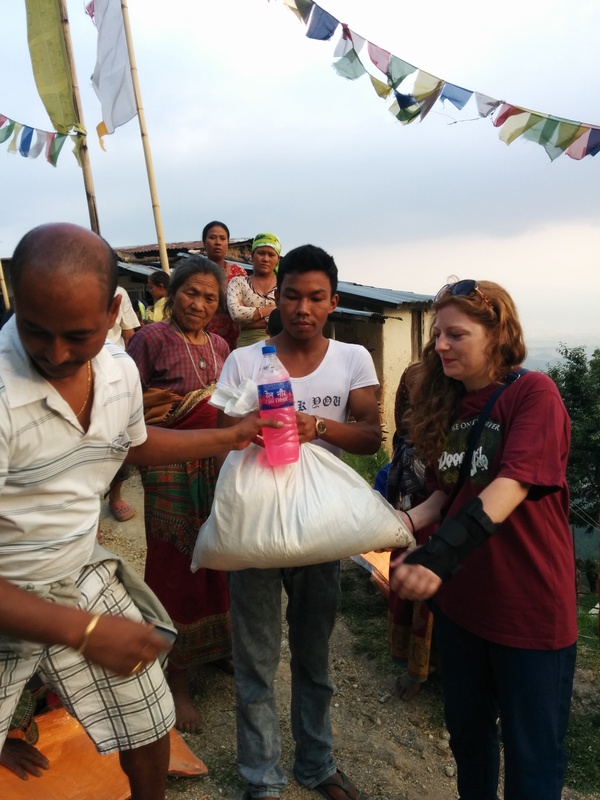 Work For Nepal and Lorene are doing great work go check their Facebook pages. If you think what we have been doing is noteworthy then you can contact me.